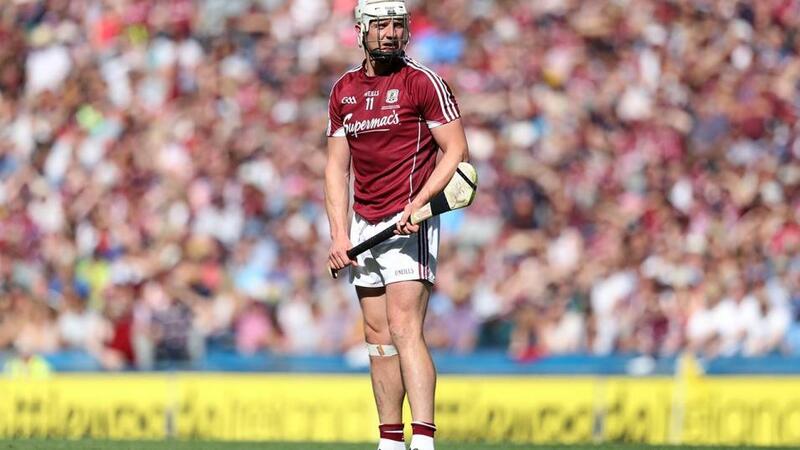 What are Galway's chances of getting through the All Ireland semis? "This Galway side is hitting strides just at the right time, their league campaign was unimpressive and I had some real doubts about their hunger this year, those are gone now." This year's Hurling Championship has been one of the most exciting in years with the new round robin system proving to be a huge hit. At the start of the season it was hard to know what to except and many felt that asking amateurs to play four huge games in a space of time was asking a lot. These arguments do appear to be valid too, as the teams that were playing in their third game in a row did look tired, Tipperary & Wexford spring to mind here. Munster hurling was the real stand out winner from the new system. Three of the four semi-finalists are from the province. At one stage, each team in Munster had a realistic chance of reaching the final, going to the qualifiers or exiting the championship completely. Based on the talent we saw on display it is no surprise to see that at least one team from Munster will be in the All Ireland final. Will the Liam MacCarthy Cup be heading to one of the three Munster teams left in the competition? I have my doubts. Galway are the defending All Ireland champions and at times this year have looked unstoppable. Only Kilkenny in the Leinster final could stick with them and hold them to a draw, Galway were stronger in the replay and ran out the winners. Clare are a very hard team to read again this year, they played well and were rightly in the Munster final, I watched that game back recently, at half time Clare were up 2-11-1-10, when the clock hit 70 minutes they had 2-19. A goal very late on made the score line a bit better looking but Cork hit them for 1.14 in that second half and Clare looked a jaded team. In their defence, they bounced back and their running game against Wexford was very good but Wexford are no Galway. This Galway side is hitting strides just at the right time, their league campaign was unimpressive and I had some real doubts about their hunger this year, those are gone now. We all know that the likes of Joe Canning and Conor Cooney will punish any defence but the spine of the team through Daithi Burke, Aidan Harte and David Burke seem to be getting better as the season rolls on. This Galway side continues to be one of the tallest, most physical and skilled side in the country, it's hard not to see them reach another All Ireland final with more than a couple of points to spare & are the rightful favourites to win the competition as they do look a step or two ahead of everyone. Cork are in the semi-final for a second successive year after losing to Waterford last season in a game that turned on its head after one incident. Cork were one point down when Damien Cahalane was sent off in the 51st minute. Waterford went on to score 3-8 with the numerical advantage. We will never know how Cork would have fared with 15 men on the field for the match, but certainly the dismissal had a huge factor. Limerick are fresh from their first championship win over Kilkenny since 1973, beating them 0-27 to 1-22 in Thurles. They were last in the semis 2014 losing to Kilkenny that day. Looking at his game it is easy to say it is youth v experience. Cork have won three Munster seniors since losing the 2013 All Ireland final - 2014, 2017 and 2018 and Limerick have played in a minor All Ireland final and have won two Under-21 titles in the last three years. I wrote a piece at the start of the year about the contenders and Limerick was not one of those even mentioned. This drew criticism from several Limerick supporters but the fact is they were big odds for both Munster & the All Ireland and are still 4/1 on the Sportsbook to lift the Liam MacCarthy Cup. They have only won one Munster title in the last 20 years & as mentioned earlier, it is their first semi-final appearance in 4 years. 2007 was their last final appearance. However, the emergence of some bright underage stars like Cian Lynch, Tom Morrissey & the fact that Cork were unable to beat Limerick earlier in the year does give Limerick a chance here. Another possible slight problem is that Cork have not had a competitive match since they beat Clare in the Munster final on the 1st of July, whereas Limerick have had to overcome Carlow and Kilkenny in between that game and Sunday. At the time of writing this, there was word that Séamus Harnedy was a possible injury concern, this would have a major impact on thoughts for the game. He has scored 3-14 in Cork's five championship matches, all from play. Taking it all into account it is the tougher of the two games to call but Cork were a shade unlucky not to be in the final last year, they are the reigning Munster Champions and look the best equipped to get through to the big day. The handicap is -1 and is currently 6/5 on Betfair Sportbook, I think I'll be a little less brave and just back Cork at 10/11.